Stop Procrastinating And De-clutter Your House With The Help Of These Incredible IPhone Apps! Leo Tolstoy in his epic saga, Anne Karenina, mentioned â? ?spring is the time for plans and projects.â?? This must have a ring of truth which is why we have the term spring cleaning. However, why limit the cleaning to spring is a question that begs to be asked. Why not make plans to successfully undertake projects and plans all-round the year? While talking about clutter, a project that inevitably keeps getting delayed is that of de-cluttering the house. Letâ? ?s decide to stop this and for once get down and dirty with the clutter. The biggest question that haunts all is what should be done with the clutter. If we keep putting it back into the same place, it is bound to get messed up again. This article picks out the things you can do with the things and that too with the help of your mobile phone. Here are few mobile apps that answer this question for you â?? If you have some things in your house that arenâ? ?t in daily use even though you know you will use them someday, self-storage is a good option for you. 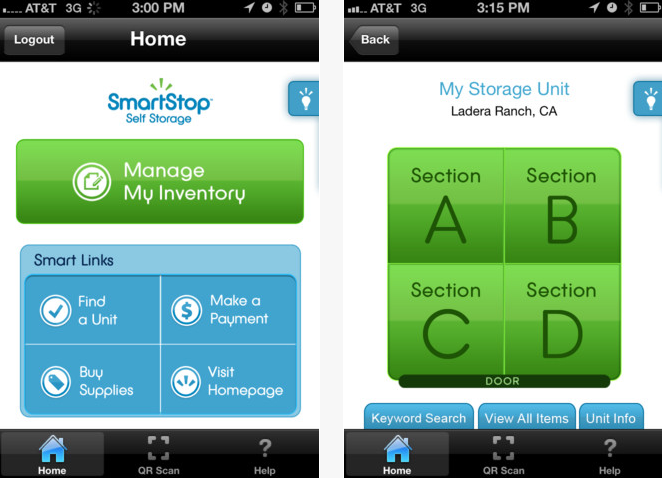 SmartStop Self-Storage app helps you keep track of the things you have kept in s self-storage unit with the help of its QR code scanner. If you want to look for something it is difficult to find it before hunting through all the boxes. In situations like these, this app comes to your rescue with its in built QR code scanner. Though using the scanner isnâ? ?t imperative for using this application, it makes things very easy. This free app lets you scan the boxes and create a list of its content. When you need to look for something, you donâ? ?t have to open each and every box; you can just use the code scanner and find out where that thing is kept. One of the biggest advantages of de-cluttering your house is to find things that you can sell and make some money. We all have valuables in our house that are of no use to us and we canâ? ?t throw them away. In such a scenario, the best thing to do is to sell them for their worth. 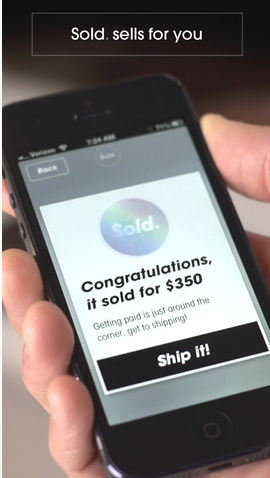 Sold is a mobile platform that lets you do so. This hugely popular app is the perfect market place for your things. All you need to do is click a few pictures of the thing you need to sell, upload them on the app and within a day their pricing engine (yeah, they have a PRICING engine!) will come up with the perfect price for it. Then this app will find the perfect buyer and also take care of the shipping. Once the delivery is done, you get paid directly in your bank account. Just like that! No strings attached! We have all made best out of waste in school, but somehow have lost the habit while growing up. It is time to get back to it. What could be a better way of using clutter in your house than by putting it to use? All you need is a fertile imagination and creativity and you might turn out the waste into a masterpiece. To make things easier, this app takes care of the fertile imagination part for you. 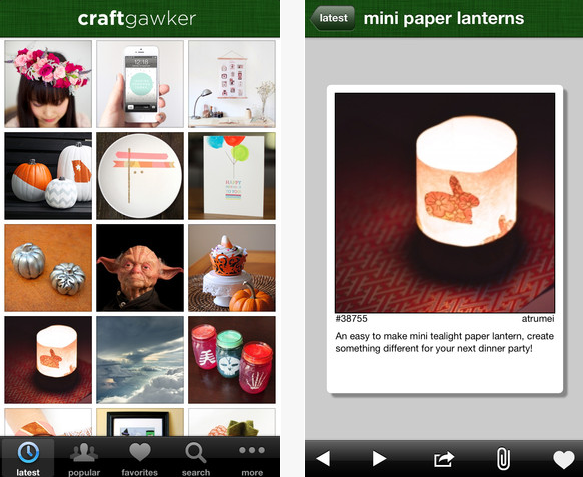 CraftGawker has numerous DIY projects that can help you make really useful things from what had been tagged as waste. With this app on your phone, you will never fall short of inspiration and will always have new and creative projects to undertake. 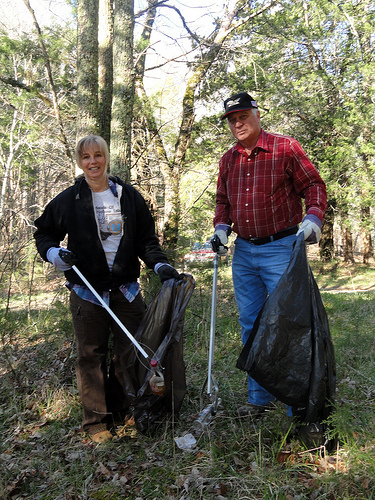 The author of this post, Richard Dent, provides public storage in Maple through his company. He is an avid reader and he likes exploring new places.